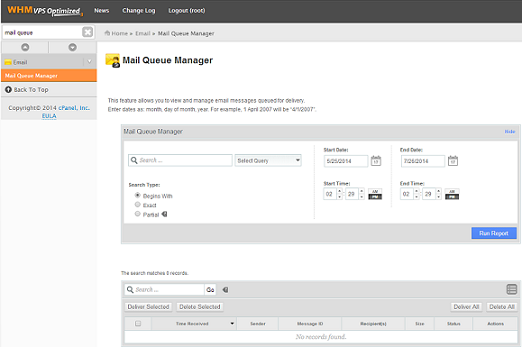 The Mail Queue Manager allows you to view, delete, and attempt to deliver queued messages that the system has not yet delivered to their destinations. 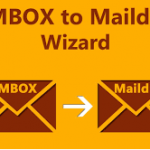 This article explains how to Manage Exim Mail Queue Manager in WHM panel. Search text box enters the search criteria. Search Type menu selects how the search functions have matched your criteria. Now to specify the date range for which you want to view sent mail, the Start date, Start Time, End date an End Time Values has to be entered. select the checkbox after clicking on the icon in the top corner of the results table. Select the checkbox to hide the information. Click Reset To Default to automatically select the default columns. Select the checkbox for each email which you want to send. When a new window appears, click OK there. Emails that have been sent to incorrect addresses will not be delivered. so you can select and delete certain emails from the queue. Click on OK from the new window opened. The system freezes a mail if it is not delivered even after repeated attempts. This is an attempt to conserve system resources, increase queue runs and decreases the chance that the target mail transfer agent treats the message as spam. The system will unfreeze the email once a timeout has been reached or you have unfrozen the email manually. When a message is labeled as frozen an icon will appear on the top, click this icon. A new window will open and confirm that your message has been unfrozen.